Through “Erasmus for Young Entrepreneurs” international exchanges, we put in remarkable people and significant business experiences in the lives of young entrepreneurs. The exchange takes place within the framework of the project “Growth of SMEs in Europe” (SGE), led by the Chamber of Commerce and Industry Girona (Spain), and co-financed by the European Commission. Through the SGE project, we support young and potential entrepreneurs in Macedonia to develop their businesses or business ideas through work with experienced entrepreneurs from other EU countries. 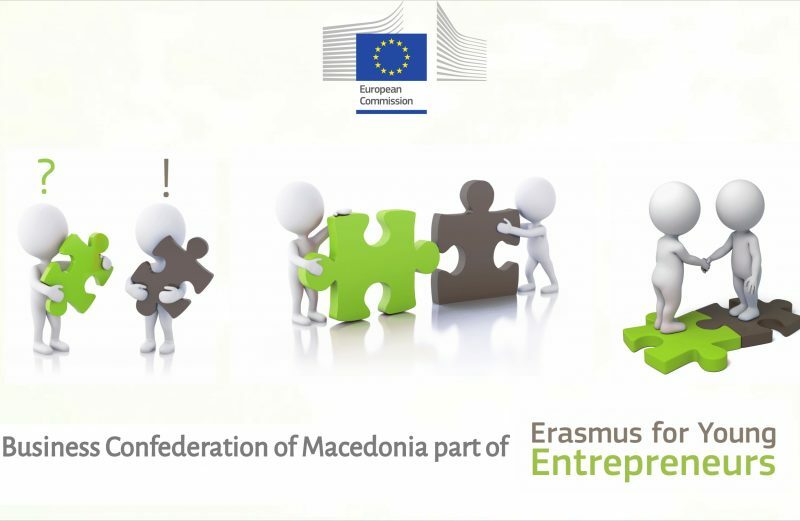 At the same time, successful entrepreneurs from Macedonia can share their experience and their businesses can become models for good practices for other young European entrepreneurs. This project started in February 2018, and by the beginning of 2020, partners aim to reach out to at least 300 young and experienced entrepreneurs from Spain, Italy, Romania, Poland, Greece, Austria, Malta, Macedonia, Hungary and Holland, and to support and fund 160 international exchanges.